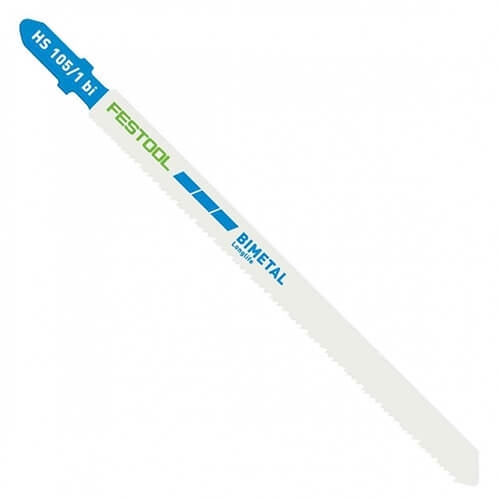 The new HS 105/1 jigsaw blade is made of HCS bimetal and designed for cutting metals, including aluminum, steel and other non-ferrous metals. Especially well suited for applications where material, such as insulation, is sandwiched between sheets of metal. Pack of 5 Jigsaw Blades. HCS tool steel quality, 4-1/8 inches long, 1 pitch.